I am 100% certain that I am 0% sure of what I’m going to do. What do teachers and the characters from Parks and Recreation have in common? A lot! We look forward to summer. We sometimes get bogged down with government bureaucracy. We need a great team to get the job done. But most of all, our job sometimes requires an amazing sense of humor! Here are 18 scenes from Parks and Recreation that could’ve come straight out of the classroom. 1. When you’re going into the year feeling pretty confident. 2. When you’re a first-year teacher with a can-do attitude. 3. When you nail that chemistry lesson that kept you up all night. 4. When you’ve run out of supplies and throw yourself at the mercy of the workroom para. 5. When your students don’t like the groups you’ve created. 6. When you catch your students shaving their pencils down to teeny-tiny stubs in the pencil sharpener. 7. When your lesson plans for the next two weeks are done. 8. When you’re new to the PBIS committee and want to make a good impression. 9. When you hear that a new projection system is coming to your room! 10. When you decide to treat your team with a coffee run, but you spill a whole cup down your white pants. 11. When you’ve had parent-teacher conferences two nights in a row, and it’s only Wednesday. 13. When you find out you have six different preps this year. 14. When Teacher Appreciation Day is just around the corner. 15. 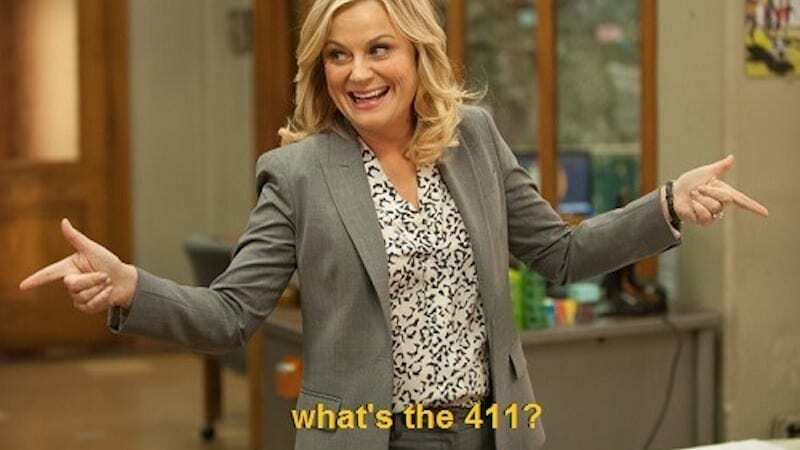 When the office tells you you’re getting four new students. 16. When your students ask you to use funny voices for the characters in your read-aloud. 17. When you’ve agreed to be the PTO teacher liaison. 18. When your kindergartner, who just came out of the bathroom, asks you to tie his wet shoelaces. Are you a member of the Pawnee fan club? Share some of your favorite ways Parks and Recreation is like teaching on our WeAreTeachers HELPLINEon Facebook. Also, check out 14 ridiculous dress code rules for teachers you won’t believe are real! Elizabeth Mulvahill is a passionate teacher, writer and mom who loves learning new things, traveling the globe and everything Zen.